Allahabad : Just a handful of days are left for the inauguration of the mystical Kumbh Mela, the "world's largest congregation of religious pilgrims" It will start from January 14, 2019 and will conclude in March 4, 2019. The grand mela will be held in the city of Prayagraj, Allahabad. Also known as Ardh Kumbh Mela, the gathering will be organized in Allahabad (now Prayagraj), at Triveni Sangam or the confluence of the Ganges, Yamuna, and mythical Saraswati rivers. This year the Kumbh mela will last for 55-days. 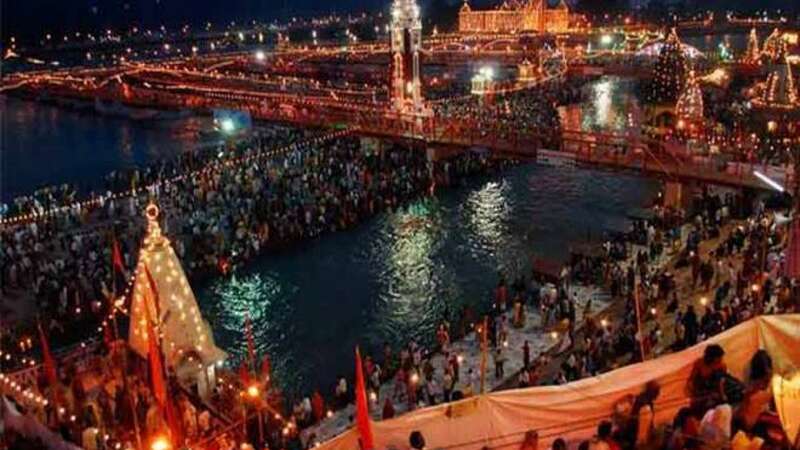 Six key dates for the holy bath in Kumbh Mela this year are, Makar Sankranti (January 15), Paush Purnima (January 21), Mauni Amavasya (February 4), Basant Panchami (February 10), Maghi Purnima (February 19) and Mahashivratri (March 4). Prayagraj is a holy place in Uttar Prdesh where the Kumbh Mela will be held. The place is well connected with other parts of the country. The nearest domestic airport is 12 km away from the city centre at Bamrauli. There are also four major railway stations in the city – Allahabad Junction, City Station at Rambagh, Prayag Station, and Daraganj Station. Besides, the Kumbh Mela location is well connected with roads. . On December 5, Central Road Transport and Shipping Minister Nitin Gadkari made an announcement to start airboat service between Varanasi and Prayagraj exclusively for the mela next year. Inland Waterways Authority of India (IWAI) is also arranging for ferry service till the Sangam Ghat of Prayagraj, where the actual mela will be held.